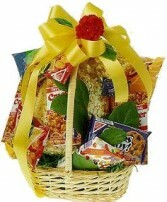 Gift baskets of snacks, fruit and other delicious food items are always in style and are appropriate for any occasion, any time of year! Need a gift for a "hard-to-please" person on your list? 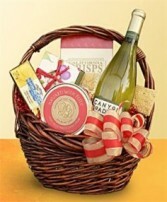 We can take your special requests and design a custom basket filled with items personalized especially for your recipient. Call us for more details! 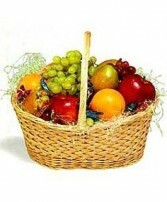 Gift baskets of fresh fruit are always in style and are appropriate for any occasion, any time of year! Need a gift for a "hard-to-please" person on your list? 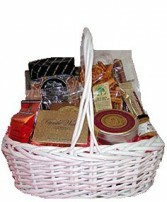 We can take your special requests and design a custom basket filled with items personalized especially for your recipient. Call us for more details! Flowers convey a message that cannot be put into words. 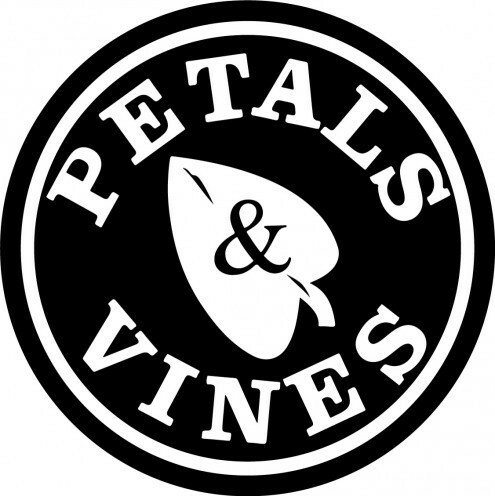 PETALS & VINES FLORIST of Monmouth, OR provides a variety of fresh, fashionable floral designs to ensure that your gift is one of elegance and beauty. When you're looking for a unique hostess gift, token of appreciation or just a surprise to brighten someone's day, let PETALS & VINES FLORIST customize and deliver one of our many fun, decorative & luxury gifts! We create dazzling presentations that are sure to please for any gift-giving occasion. 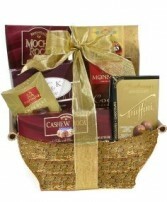 To get your custom gift items, come by and see PETALS & VINES FLORIST - your local Monmouth, OR florist.